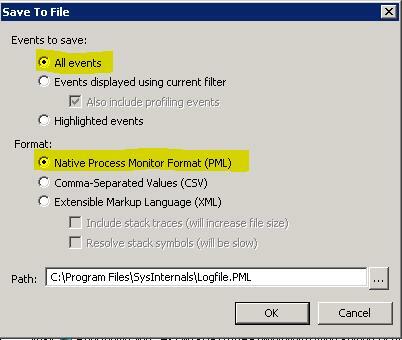 In this article i descibe how to get process monitor log for sending Microsoft Support Services . 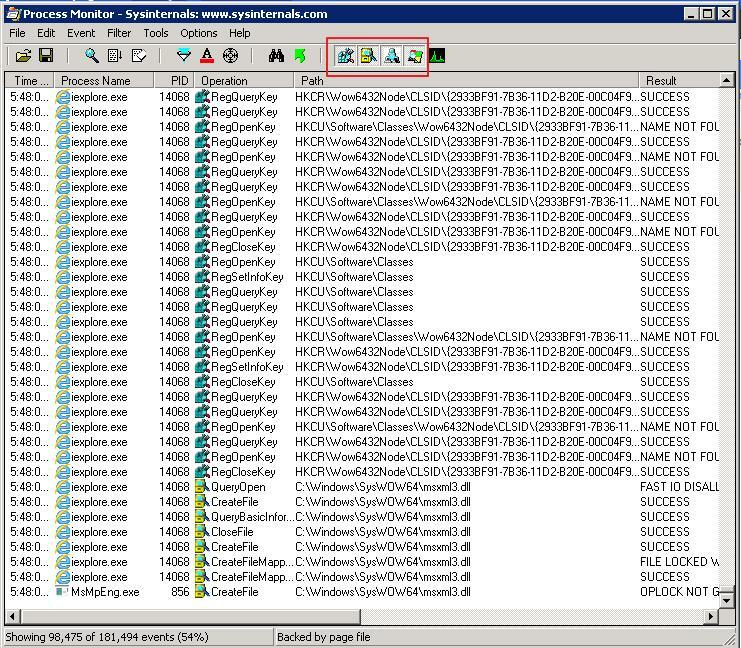 1) Download Process Monitor from this link and install it on your Client Machine. 2) Run Process Monitor. Please dont define any filter. And select red rectangled options on screenshoot. 3) Quickly reproduce the error or the issue as fast as possible. NOTE: If you need to transfer these files to Microsoft File Services , please compress files in zip file. If zip file size is bigger than 5GB please spearate multiple files that lower than 5GB.